The United Arab Emirates is one of the world’s fastest-growing tourism destinations, which for many, one place springs to mind – Dubai. 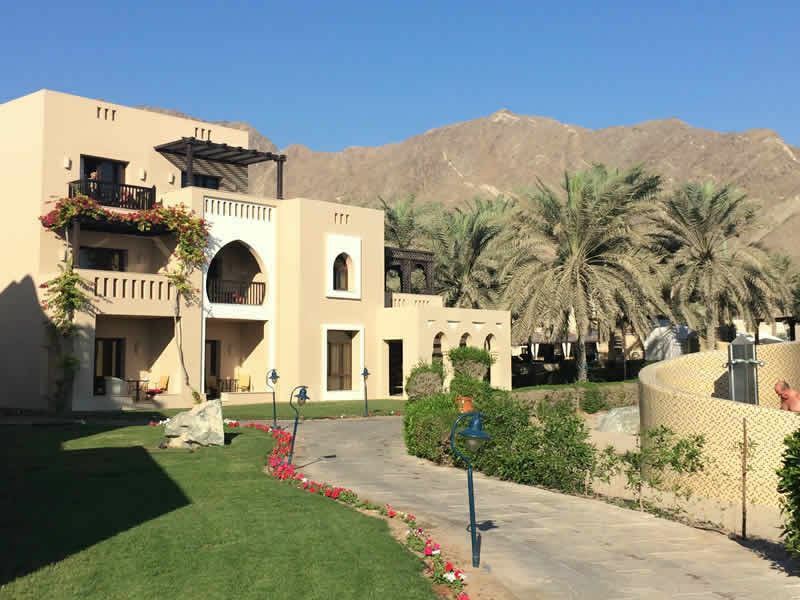 You’d be forgiven for overlooking Fujairah and Ras Al Khaimah, two of the relatively lesser explored emirates – each offering their own brand of charm and enticement. 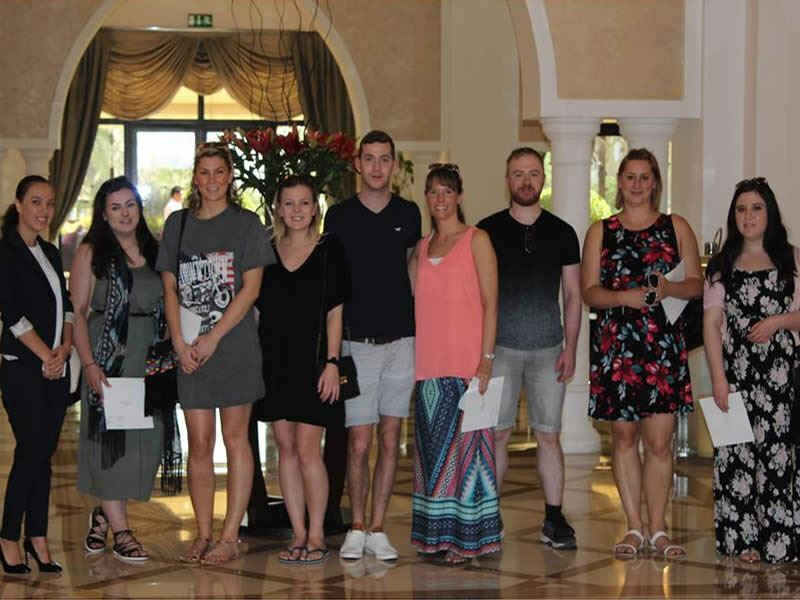 A few of us at Tropical Sky recently returned from a whirlwind tour visiting many of our hotel offerings in Dubai, with time to also explore the surprising delights of Fujairah and Ras Al Khaimah. 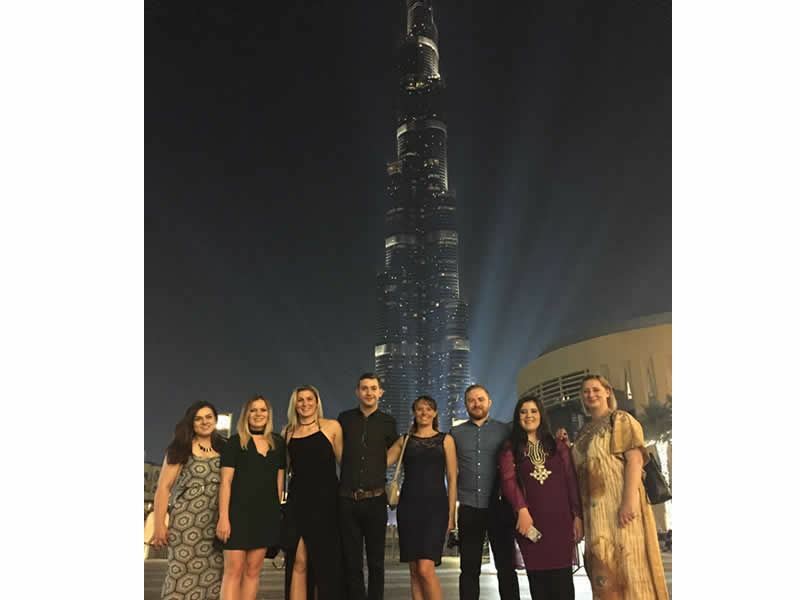 In just five nights, we managed to cover three emirates, visiting eighteen of the hotels and resorts in our portfolio, as well as enjoying some of the “must do” attractions along the way. Described as “the rising emirate”, Ras Al Khaimah is fast becoming a popular holiday destination, yet still promises peaceful surrounds. Only around 1 hour from Dubai airport, here you’ll find luxury hotels and resorts with stunning mountainous views, beautiful coastlines and rich culture and history. There’s plenty of activities for outdoor enthusiasts and culture vultures can explore the museums, mosques and ruins. 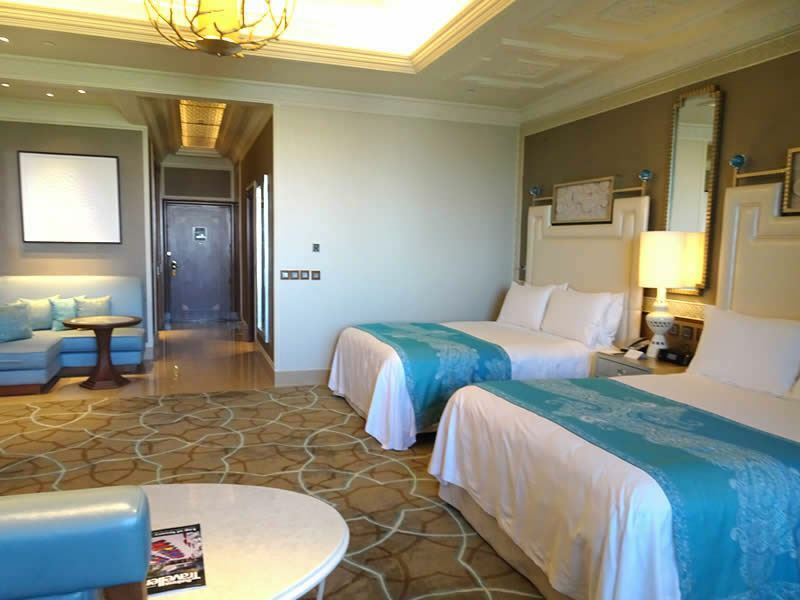 5* Rixos Bab al Bahr is an all-inclusive resort superb for couples and families alike, nestled on the beautiful white sands of Marjan Island, the pyramid design ensures all rooms have stunning views of the Arabian Gulf, with an abundance of facilities for all to enjoy. 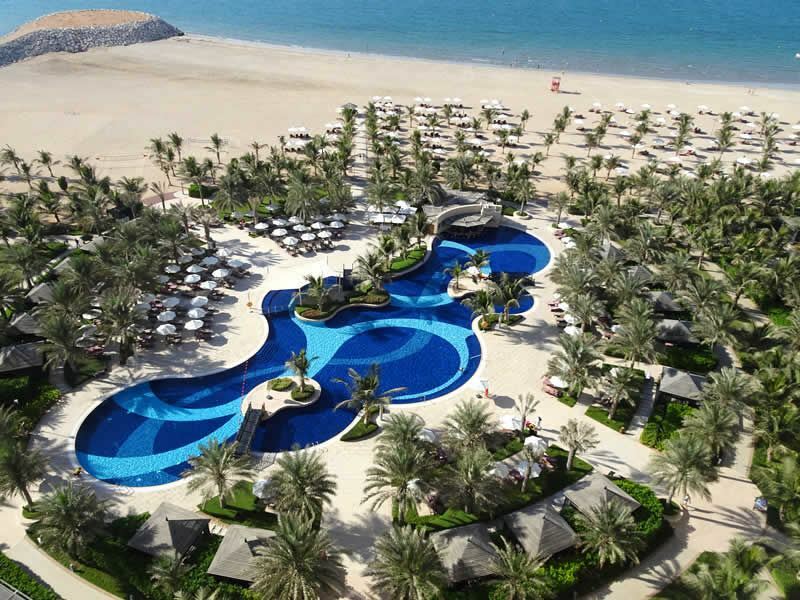 5* Waldorf Astoria Ras Al Khaimah is a recent addition to our Platinum Collection, having been blown-away by our visit to this lavish hotel, witnessing its spectacular architecture and stunning landscapes. Situated on the Indian Ocean coastline, Fujairah boasts beautiful natural beaches lapped by warm waters, with the Hajar Mountains providing you with a striking backdrop. Only 90 minutes away from the buzz of Dubai, holidays here provide the perfect tranquil location, with a more traditional Arabian and Moroccan theme to the resorts. 5* Radisson Blu Resort is chic and elegant resort situated on a pristine stretch of beach, with luxurious rooms all enjoying stunning views over the Arabian Sea with their own balcony. 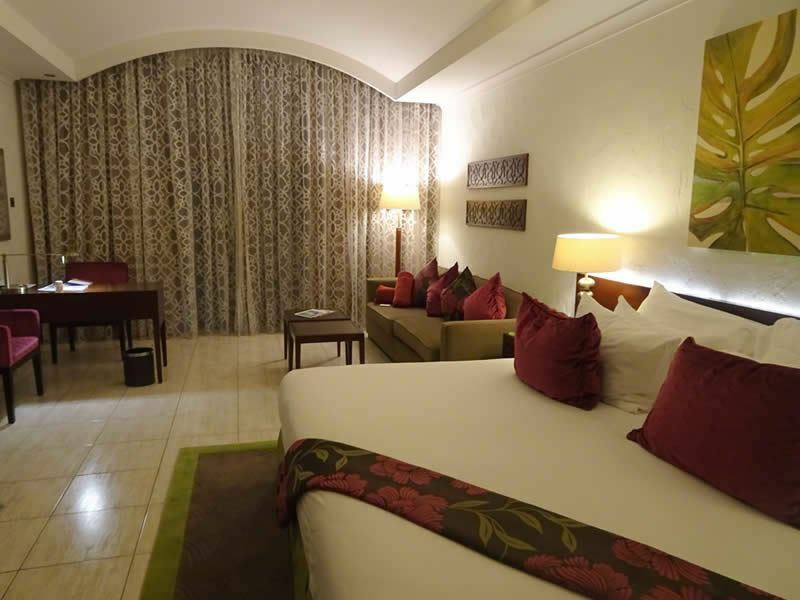 You’ll be spoilt with the facilities available, a perfect choice for couples and families. 5* Iberotel Miramar Al Aqah Beach Resort is a peaceful beachfront gem, with a traditional Moroccan theme throughout the resort. 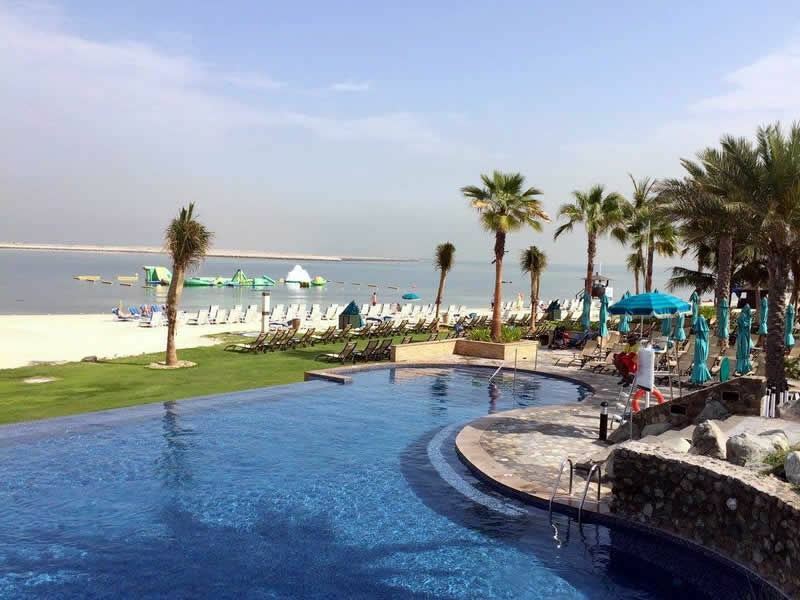 The hotels in both Ras Al Khaimah and Fujairah equally exude luxury and exceptionally high standards as experienced in Dubai, with more of an authentic Arabian, yet relaxed and laid-back ambience and stunning natural beauty. Requiring little introduction, Dubai is the city of extremes, where the “impossible becomes possible”. With its glamorous lifestyle, iconic skyscrapers, endless shopping malls and its famous palm-shaped islands – holidays here are nothing short of amazing. There’s so much to do in Dubai, during our hotel visits one common question from each of our lovely hosts was “Have you had chance to go on a desert safari?”. Unfortunately, time didn’t allow us to on this trip – however, it seems this an excursion not to be missed! There are plenty of activities to try out on a desert safari for the thrill seekers amongst you - experience the thrills of dune bashing in a 4x4 vehicle or buggy, sand boarding or experience riding a camel. Alternatively simply enjoy a magical and memorable evening watching the sunset as you drive through the dunes followed by a delicious dinner. 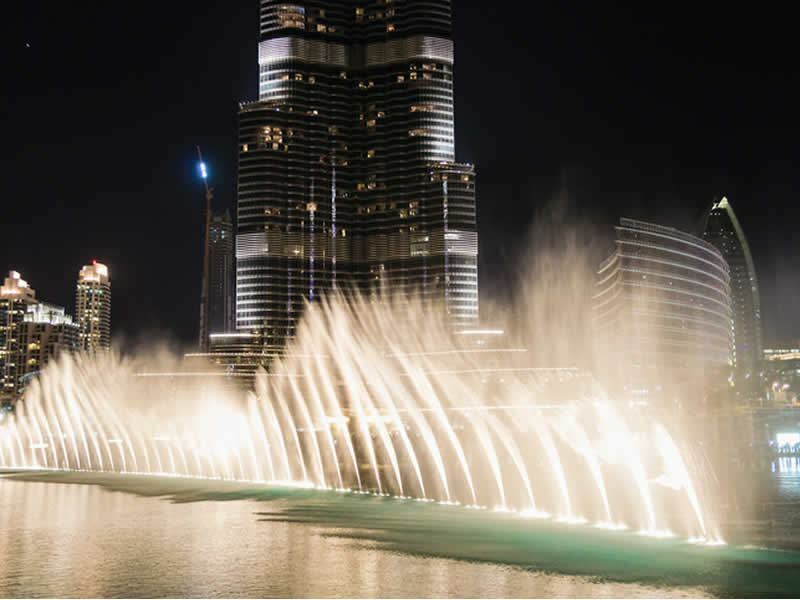 We would also recommend visiting the Dubai Fountain’s in the evening to witness the dramatic performance with the fountains reaching up to 140meters high whilst dancing in sync to music and lights, at the foot of the magnificent Burj Khalifa. With a busy schedule visiting many of our hotels and resorts across the three Emirates, we didn’t have time to experience too many of the “must do’s”. 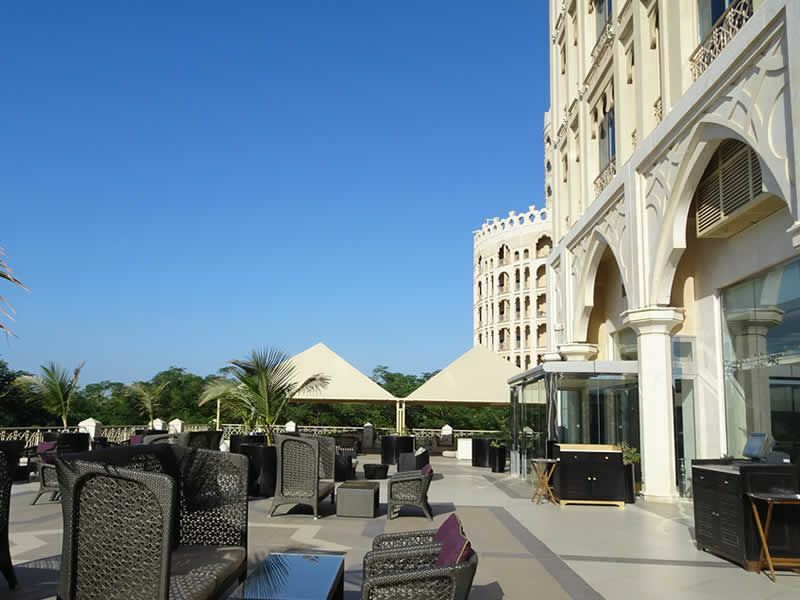 However, as guests of Movenpick Ibn Battuta Gate we took advantage of the complimentary access and transfers to the private Oceana Beach Club. Having now experienced the spectacular skyline views and offering here, it’s easy to understand why this resort remains a popular choice. Lastly, our visit tied in with the opening of the new Dubai Parks and Resorts. 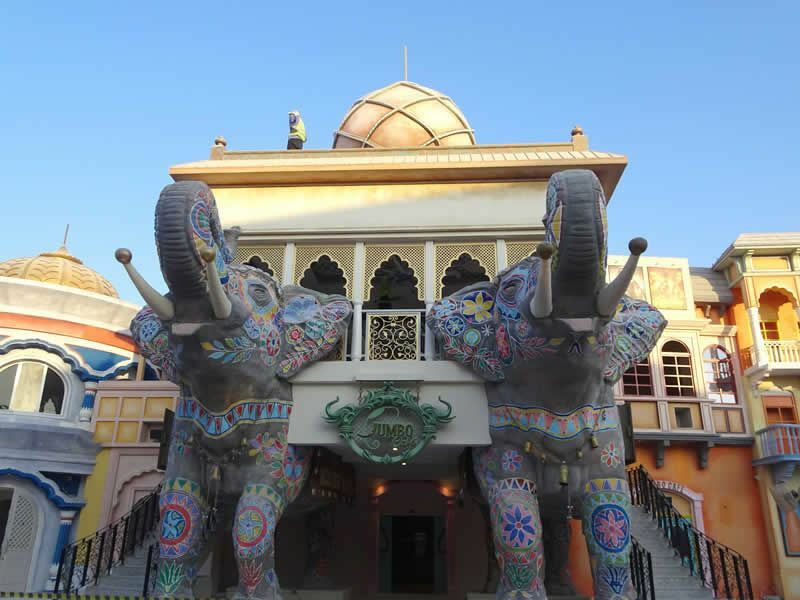 Opening in stages, this comprises of three separate theme parks (MOTIONGATE tm, LEGOLAND ® and Bollywood) and one water park, all in one location – and is set to be a massive attraction for Dubai. After walking around the Parks and packing as much fun as possible into one afternoon, it was a relief to know our last stay of the trip was just 10 minutes away at the fabulous JA Palm Tree Court. Within a short time we were cooling off in the infinity pool with a well-deserved cocktail in hand toasting what had been a great and memorable trip. 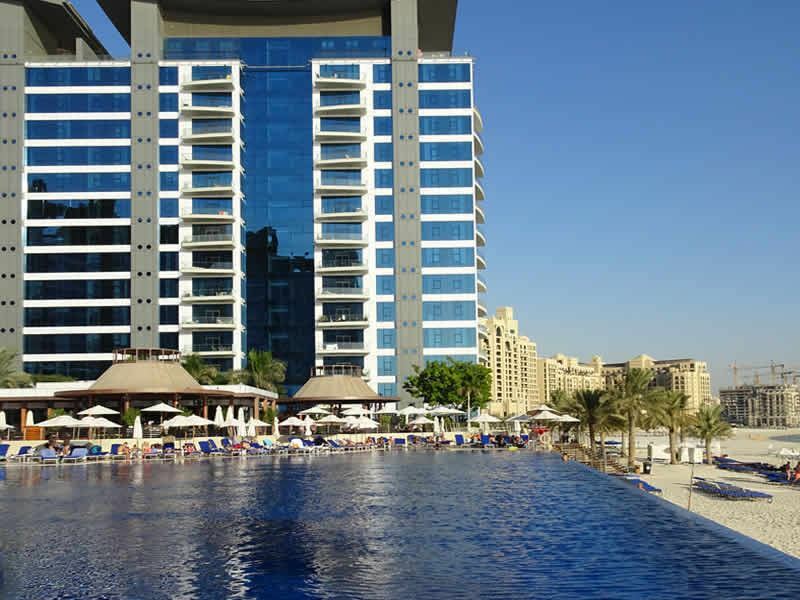 JA Palm Tree Court and its neighbouring sister hotel JA Jebel Ali Beach Hotel are ideal with their proximity to Dubai Parks and Resorts. Both offering quieter surroundings, with beautiful lush gardens and superb shared facilities and amenities across the two resorts. 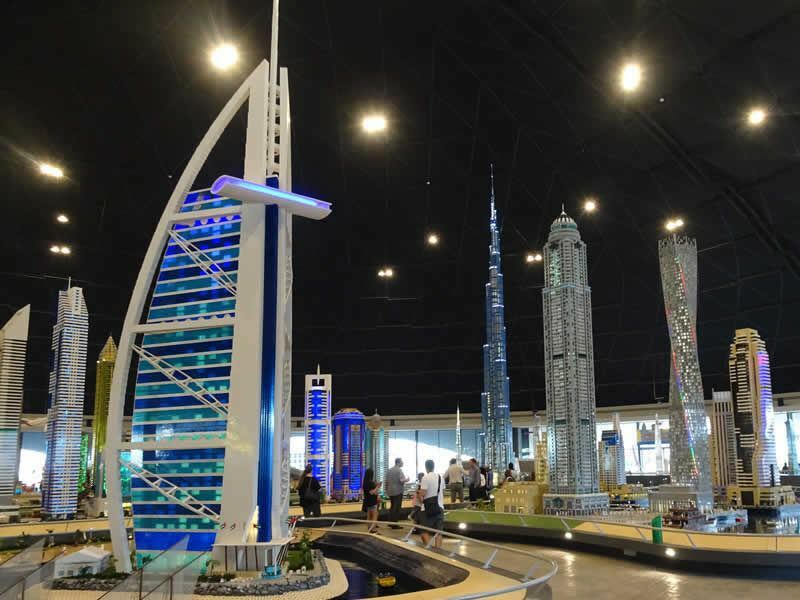 To experience the best of both worlds we would highly recommend a stay in Dubai experiencing the bright lights of the city enjoying its world famous attractions, twinned with a few days flavouring the traditional charm and peace found at the beautiful beach resorts in Fujairah or Ras Al Kahaimah. “Dubai is just fabulous, unreal weather, very unique combination of Arabic tradition and modern architecture. The standard of accommodations and services is just outstanding, I fell in love with Jumeirah Zabeel Saray hotel inspired by Turkish imperium. 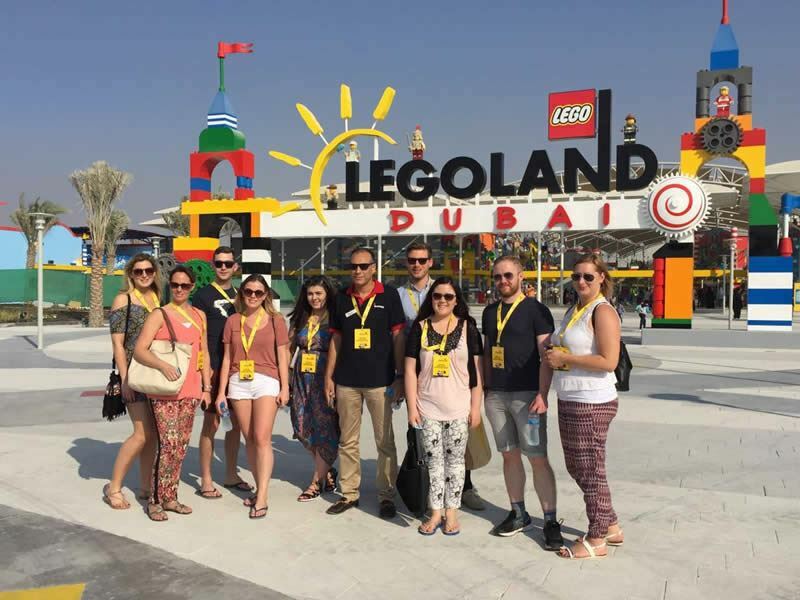 “I have wanted to travel to Dubai for some time now and wow was it worth it! Sunshine year round, spectacular hotels and absolutely divine food! Each hotel we visited was what I imagine a royal palace to look like. The staff treated us like royalty also, really went out of their way to accommodate us. Out of all the hotels we visited I must say the Jumeirah Zabeel Saray was the most spectacular. The pictures really don’t do it justice. It even has its own movie theatre! Also, Anantara The Palm on the Palm Jumeirah also really impressed me. It was really different compared to the other hotels as it has a Thai theme running through out. You can also get a room with a pool or a lagoon right outside your room. The Walk (or the JRB as its known locally) had far more shops and restaurants than I imagined. Camel rides are also available on the Walk. The Dubai fountain is also a sight that needs to be seen in downtown Dubai. Expect big crowds in the evening time there. The Dubai mall is literally right next to the fountain and I can see why it’s called the world’s largest! In general the taxi rides were very reasonably priced if you’re organising your own way around.